Grew Up… without much. Llewellyn comes from a poor Texan family. His upbringing combined with his tremendous practical intelligence has made him resourceful. He knows his way around, and believes that any problem is surmountable with the right combination of planning and grit. Living… in a trailer with his wife, Carla Jean. The two live simply, but happily. As long as there’s food to eat and some beer in the fridge, they’re content. Profession… a welder and Vietnam vet – but now that he’s found a satchel stuffed with two million dollars in cash, Llewellyn considers himself retired. Of course, two million dollars is a lot of money, and someone is bound to come hunting for his new retirement fund. Unable to enjoy his golden years just yet, Llewellyn’s new job is to stay alive long enough to spend his windfall. Interests… an avid hunter and outdoorsman, Llewellyn enjoys the solitude found in stalking prey on the quiet plains. He understands how animals behave, but now that he’s the prey, he’s about to find that human behavior is a lot less predictable than that of a pronghorn. Relationship Status… married to Carla Jean, whom he loves deeply. Carla Jean is utterly confident in her man, but worries about what he’s gotten himself into. She knows that Llewellyn would never ask for help, even if he was in over his head. Challenge… surviving. Llewellyn is determined to hold onto the two millions dollars even as he is pursued by the lethal and psychotic assassin, Anton Chigurh. With at least three different interested parties involved in tracking him down and taking the money, Llewellyn knows it’ll be hard to stay alive – but his desire to give Carla Jean a better life means that he’s willing to risk everything. Llewelyn Moss's popularity ranking on CharacTour is #2832 out of 5,000+ characters. See our top-ranked characters and read their profiles. 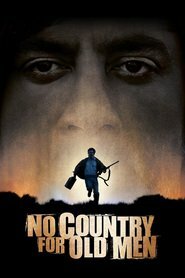 Llewelyn Moss stumbles upon dead bodies, $2 million and a hoard of heroin in a Texas desert, but methodical killer Anton Chigurh comes looking for it, with local sheriff Ed Tom Bell hot on his trail. The roles of prey and predator blur as the violent pursuit of money and justice collide.